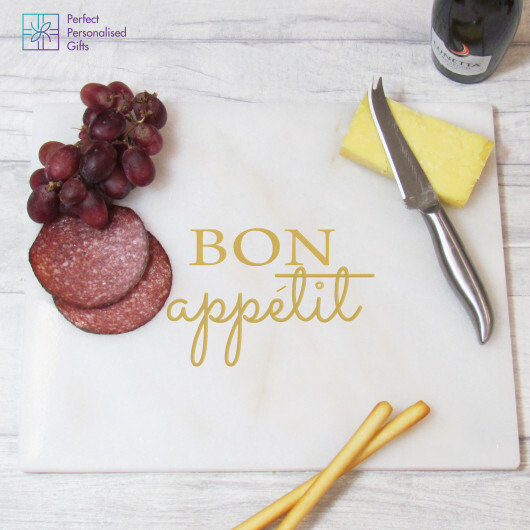 Simple yet classy Bon Appetit Marble Board perfect for chopping or presenting foods at a party. This beautiful piece of marble is engraved and hand-finished in gold to make it truly stunning. This makes a wonderful wedding gift, Christmas gift or a unique present for any special occasion. 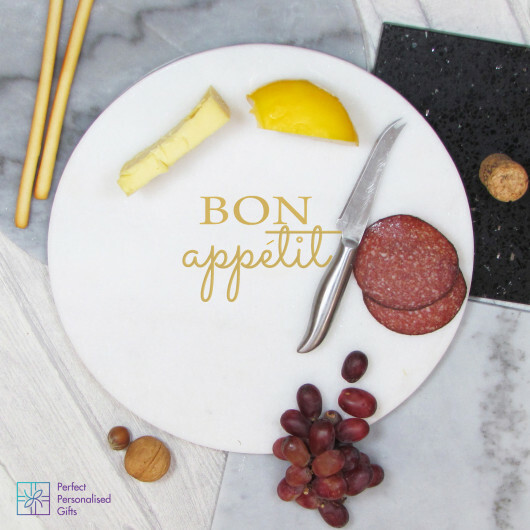 This simple yet stunning Bon Appetit design gives a timeless feel, ensuring the board will stay contemporary and unique for a lifetime. You can choose to get this cheese board gift wrapped with a black gift box, black shredded tissue paper and finished with a black satin ribbon making this a truly beautiful gift.